established by legislation in May 2005, is comprised of five members appointed by the Governor in July 2006 upon funding appropriation. Massage is therapeutic and regulations are necessary to protect the public from unqualified practitioners. It is in the interest of the public to set standards of qualifications, education, training, and experience for those who seek to practice massage therapy; to promote high standards of professional performance for those licensed to practice massage therapy; and to protect the public from unprofessional conduct by persons licensed to practice massage therapy. The board is assigned to the Secretary of State’s office for administrative purposes and is under the jurisdiction of the division director and operates in accordance with and pursuant to the provisions of O.C.G.A. § 43-1, as applicable. The Board reviews applications, complaints, correspondence and regulates the practice of licensees throughout the state. 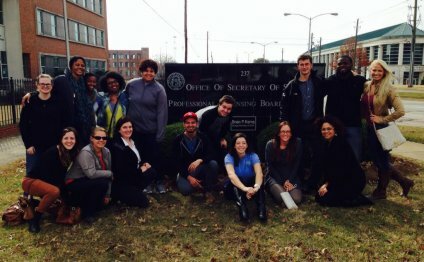 Board meetings are open to the public and are generally held at the Office of Secretary of State, Professional Licensing Boards Division office located at 237 Coliseum Drive, Macon, Georgia. Meeting dates, time and location are posted on this website. Record all continuing education taken to satisfy the requirements of the . In light of this new requirement, licensees must at a minimum create their NO COST, BASIC LIMITED ACCESS ACCOUNT in CE Broker® and begin recording any completed continuing education activities no later than . Please note that registration and recording of continuing education activities after this date may delay the renewal of your license. Go to and click "Account Options." Select "Georgia" for this state and register for the account of your choosing. You can register for the No Cost, Basic Limited Access Account with just your license number. The Basic Account will allow you to report continuing education activities, see your current Compliance Status, and search for courses. You may opt to use CE Broker's paid Concierge and Professional Account services but those services are voluntary and not required by this Board. Once you have created your account and logged into the system, click "Report CE" and locate the option that is most applicable to what you are recording. You will need to answer a few questions and then attach the documentation that the Board requires. If you are using the mobile application on your phone to submit your documentation into the system, you may take a picture of your documentation and upload it via your phone. YOU WILL NOT RECEIVE CREDIT FOR THE COURSES YOU LIST OR RECORD IF YOU DO NOT LOAD THE SUPPORTING DOCUMENTS WHICH REPRESENT YOUR PARTICIPATION AND COMPLETION OF THE COURSE. To avoid any delays or potential disciplinary action based on noncompliance with the requirements, do not wait until the last minute to register for your account and/or become familiar with the new continuing education requirements outlined in Board Rule 345-4-.02. Anthony Rolon has over twenty years of marketing and sales experience and an extensive background in the private post-secondary education sector.